OfficeMakers specializes in providing tailored recruitment solutions in Graduate and Professional Recruitment, Executive Search & Selection, Non Executive Recruitment and lots more. OfficeMakers International is your cost effective, one-stop organization specializing in recruitment. We work with organisations of all sizes, from start-ups to major corporations, tailoring our services to suit their needs. Our clients and candidates are very important to us and we treat them with utmost courtesy and respect. Affiliate company – Hydra Energy Resources Limited. 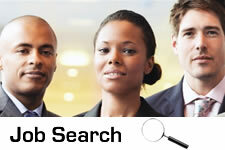 Recruitment: One of our core competencies is in the area of search and selection of qualified and competent staff. We can help you with your recruitment in a variety of ways. HR Consultancy: If you chose to outsource you HR functions, our Consultants can help you on a full time basis, part time or interim basis.